Are you as fascinated as I am with the spirituality of celebrities? In recent years, the media told us about pop singer Katy Perry not having a childhood because of her strict religious parents (they wouldn’t even let her buy non-Christian CDs), and about Brad Pitt (who grew up the son of very conservative Christian parents) saying his upbringing was stifling. 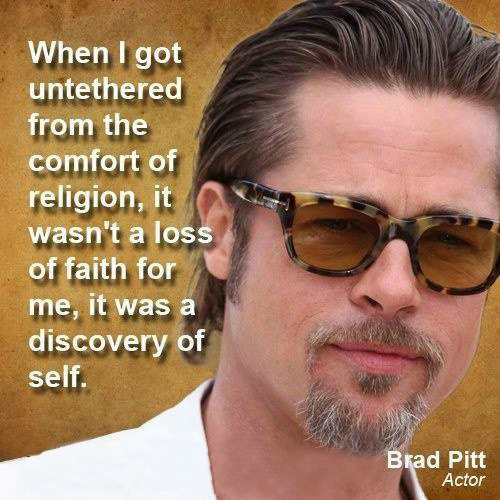 Now there’s another celebrity speaking out about faith. 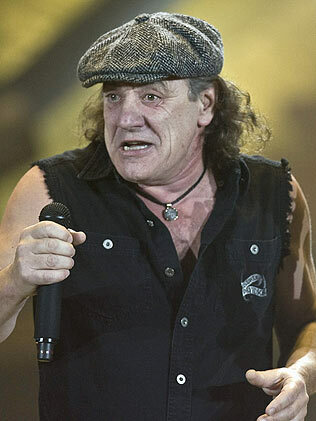 Singer Brian Johnson, the 70-year-old former member of AC/DC – I love his wolverine-in-heat singing style – told the website popeater.com that he doesn’t believe in religion. From a Christian perspective (and that was Johnson’s childhood environment), he couldn’t be more right. Religion is about rules and appearances – follow the rules and make sure you appear to have it all together. If you don’t, prepare to be criticized and ostracized. Jesus Christ, whom serious Christians believe is the son of God, has no use for this kind of thinking. He told the self-righteous religious leaders of His day (those are likely the sort of people Johnson is thinking about) that they were hopeless frauds. In the case of Katy Perry (famous for her outlandish outfits and the hit song ‘I Kissed a Girl’), she told Vanity Fair magazine her parents wouldn’t let her say ‘deviled eggs’ or ‘dirt devil’ and the only book her mother ever read to her was the Bible. Now this may be a case of parents fearful of losing their child to all the attractions of our superficial, often-misguided culture. But that fear caused them to go to such laughable religious extremes that Perry abandoned her faith. These were the same kinds of extremes Jesus dealt with. His followers were collecting food during the Sabbath – a holy day of rest for serious Jews – when those obnoxious, rule-obsessed religious leaders found out and accused them of breaking Jewish law. As before, Jesus refused to knuckle under. “The Sabbath was made to serve us; we weren’t made to serve the Sabbath,” He told them. Notice what keeps happening? Now, as in Biblical times, religion keeps getting in the way of people having a life-changing relationship with God – a relationship that ultimately guarantees us a place in Heaven with Jesus. I’m not saying all rules are always bad; can you imagine the mayhem that would result if we tried playing hockey or soccer without rules? Those guidelines help us understand and enjoy hockey and soccer, just as the rules in the Bible (the Ten Commandments, for example) help us understand and enjoy a relationship with God, through Jesus. If this makes sense, are you willing to give God (as opposed to religion) a try?